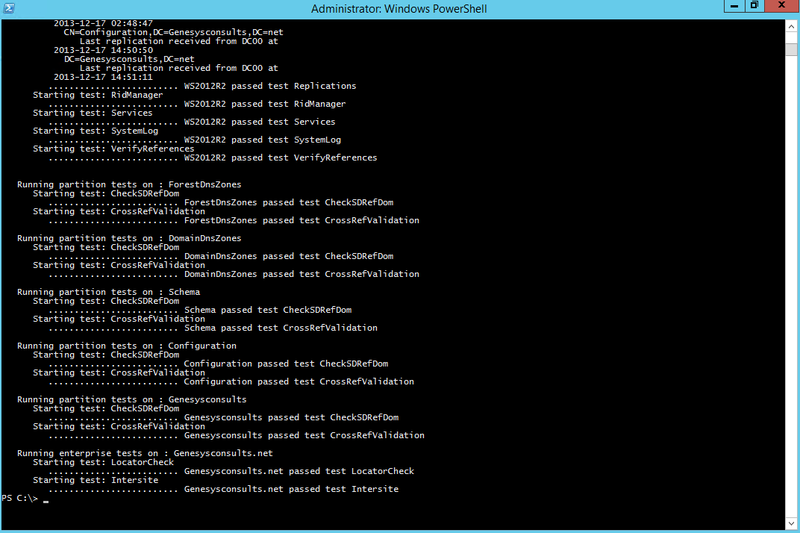 Deploying a Windows Server 2012 R2 Domain Controller in an existing Win2003 Functional Level Domain. | Chinny Chukwudozie, Cloud Solutions. 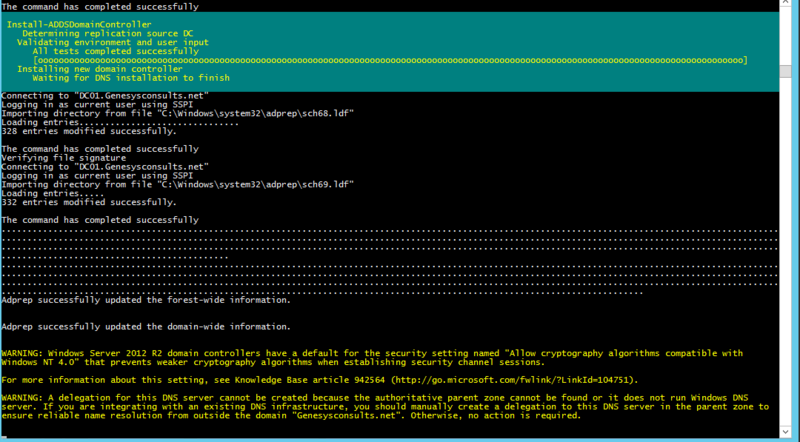 ← Seizing Active Directory FSMO (Flexible Single Master Operations ) roles with Powershell. only if you trust the remote computer and the application or script requesting it. Errors may be the result of insufficient credentials for a remote operation. Consider setting explicit credentials for this operation. The initial test failed as indicated above. The failure was due to the fact that at the time of deployment, one of the two Domain Controllers had just failed. I had been running two virtual machines as domain controllers. 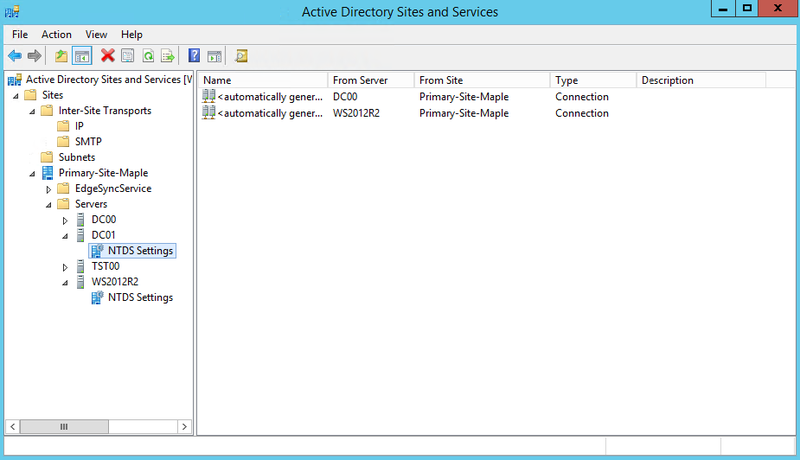 DC00 was running Windows Server 2003 R2 and DC01 had Windows Server 2008 R2. 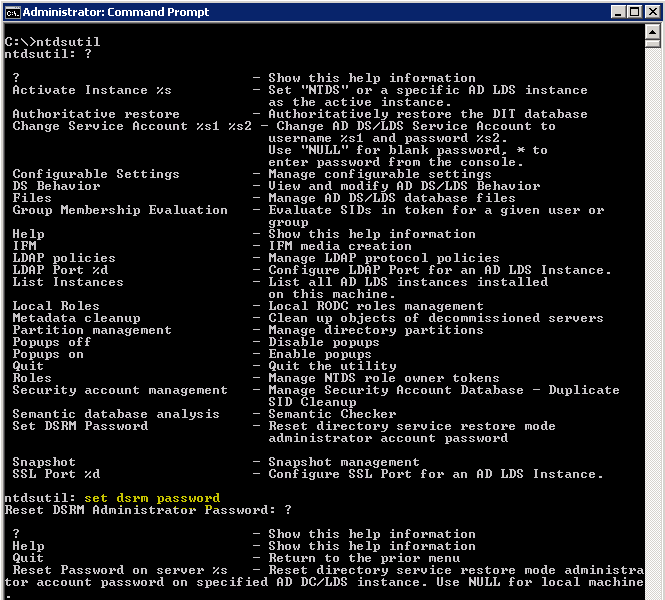 DC00 (running Windows Server 2003 R2) held all the FSMO roles before the failure. 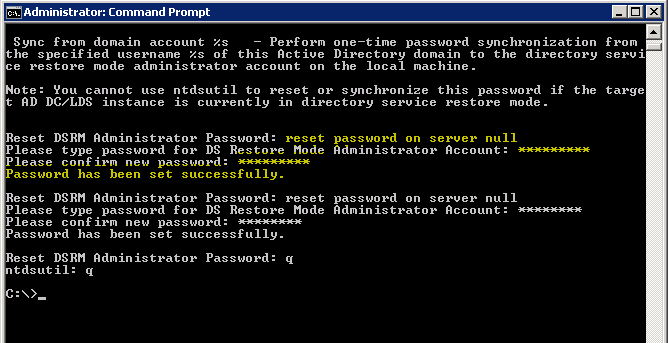 To resolve this error, I had to seize all the FSMO roles and move them to DC01 (WS2008 R2 domain controller).In a previous post, I wrote about seizing the FSMO roles with PowerShell. 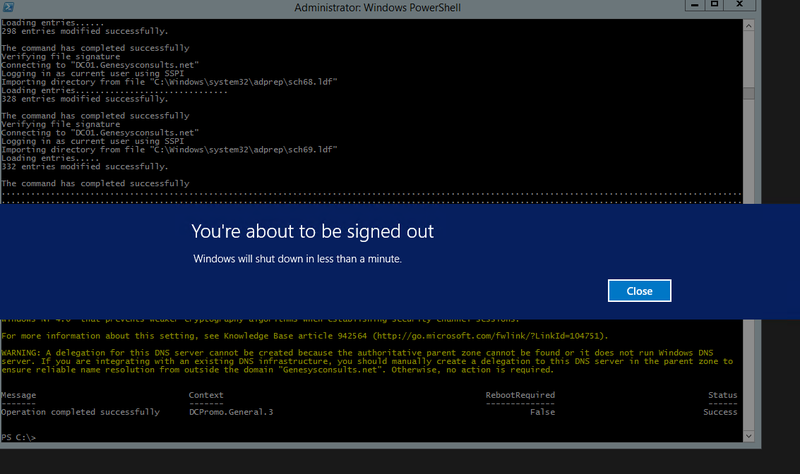 As mentioned earlier, this installation requires PowerShell 3.0 or PowerShell 4.0. This entry was posted in Active Directory, Active Directory Domain Services, AD Forest, DCPromo, Domain Controller, DSRM, Flexible Single Master Operations, FSMO, NTDSUtil, PowerShell, PowerShell 3.0, Powershell 4.0, Windows Server 2008 R2, Windows Server 2012, Windows Server 2012 R2 and tagged Active Directory, Cmdlets, dcdiag, DNS, Domain controller, Flexible Single Master Operations, FSMO, Operations Master, Powershell 3.0, Schema Version, Windows PowerShell, WS2012 R2. Bookmark the permalink. 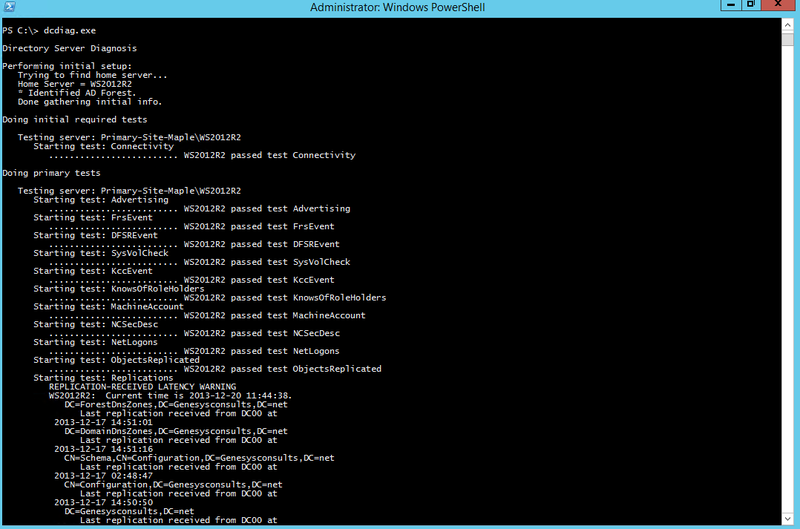 1 Response to Deploying a Windows Server 2012 R2 Domain Controller in an existing Win2003 Functional Level Domain. First i want to thank the author for his awesome information.